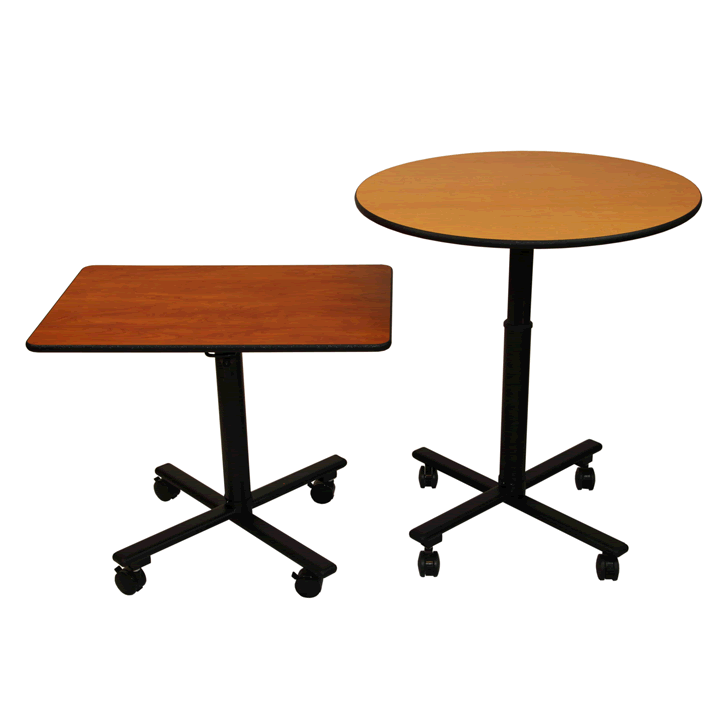 SICO® Socializer banquet tables are available in three distinctive models at tiered heights. Designed to complement seating or standing and fit pre-function events for any venue, these banquet tables can be used for traditional seated serving for heavy appetizers as well as to create high-top tables that add class and elegance to happy hours or dance galas. 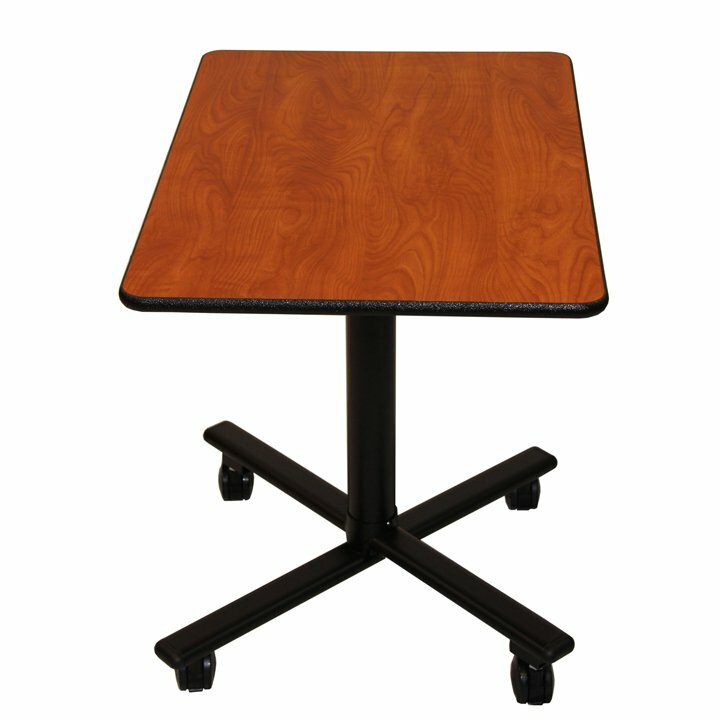 With a sturdy MDF core, high-pressure laminate top and the SICO® Armor-Edge® protective perimeter, the Socializer is one tough table, with a seamless barrier that also makes it easy to clean and keep sanitary. No more loose banding or unsanitary crevices to collect spilled liquids or food particles. 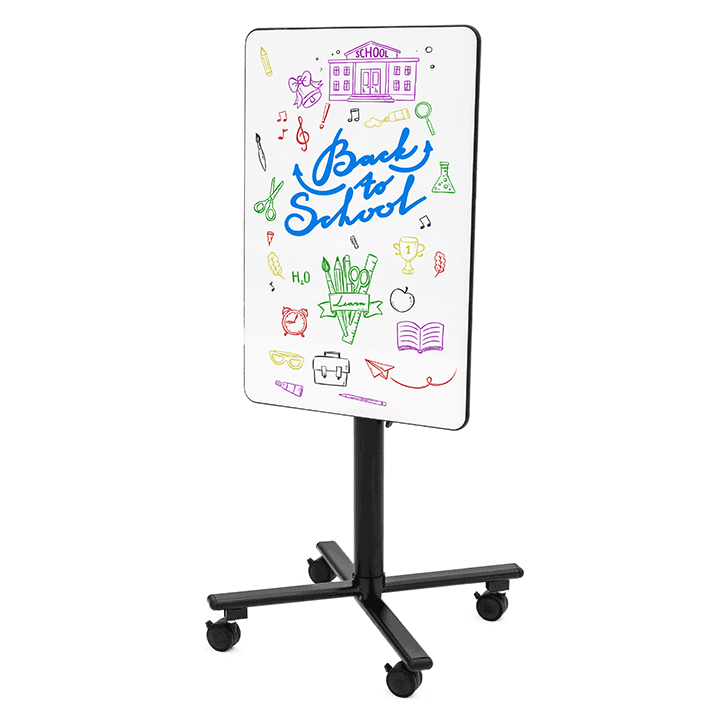 Plus, SICO® uses only expansion rivets to secure the top instead of screws that can loosen over time, and the frame is protected with a quality powder coated finish for added durability. The Socializer needs no caddy. 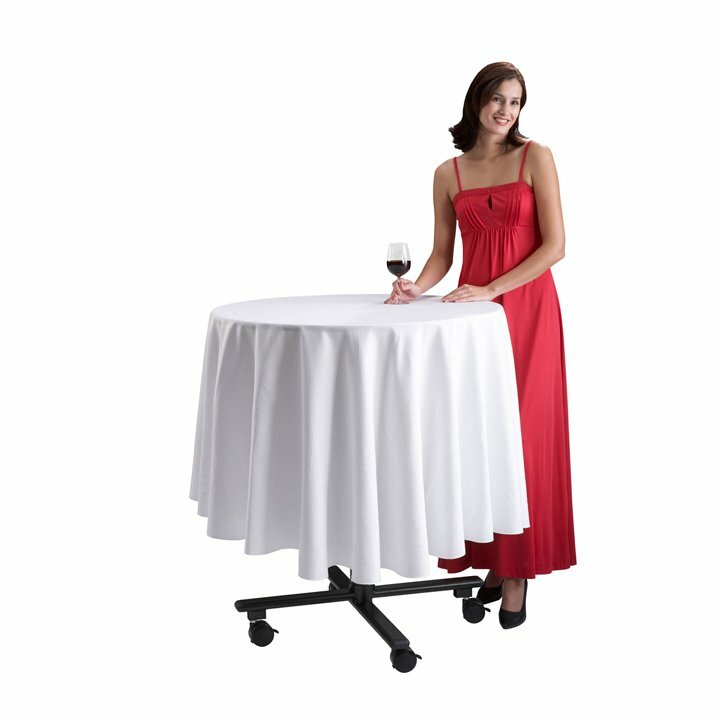 In fact, one person can easily fold and roll this table into service or storage. There is no lifting necessary, no parts to assemble, and no hassles! 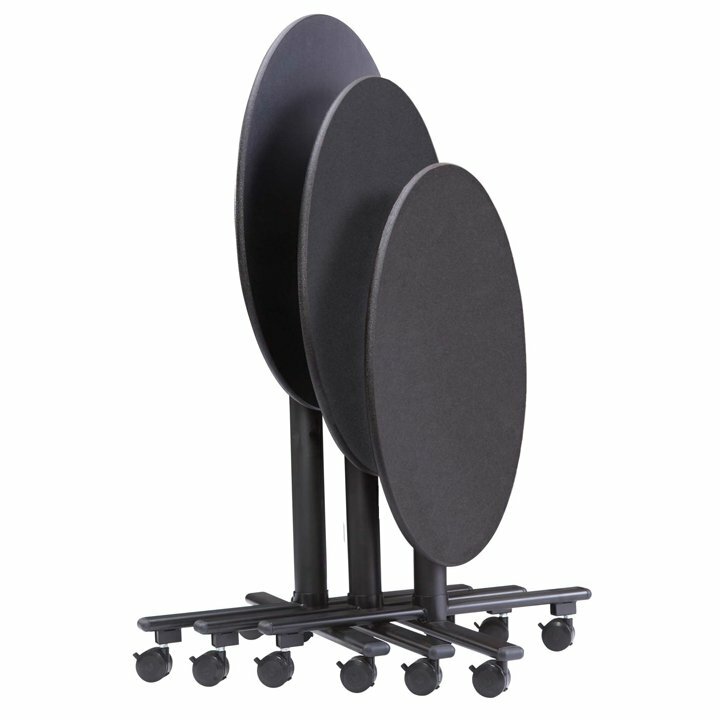 Because of its unique leg design and folding top, the Socializer nests in a minimum of storage space and each additional unit requires only 6" (15.24 cm) of storage width. 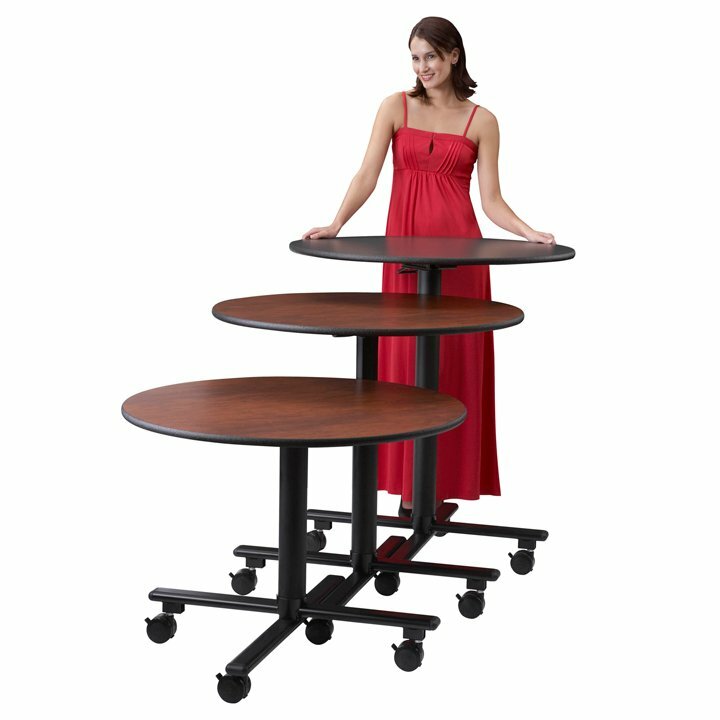 Because the Socializer banquet table is available in unique, attention-getting tabletop designs that you'll be proud to showcase, there's no need to hide your tables in storage when not in use. Storage Dimensions: 1 Unit: 24.5″L x 36″ W x 45″ or 47″H (63 cm x 92 cm x 114 cm or 120cm). Nesting Storage: Each additional unit requires only 6″L (16 cm) of storage space. Storage Dimensions: 1 Unit: 24.5″L x 24.5″ W x 45″ or 47″H (63 cm x 63 cm x 114 cm or 120cm). Storage Dimensions: 1 Unit: 24.5″L x 36″ W x 59″H (63 cm x 92 cm x 150 cm). Storage Dimensions: 1 Unit: 24.5″L x 24.5″ W x 59″H (63 cm x 63 cm x 150 cm). 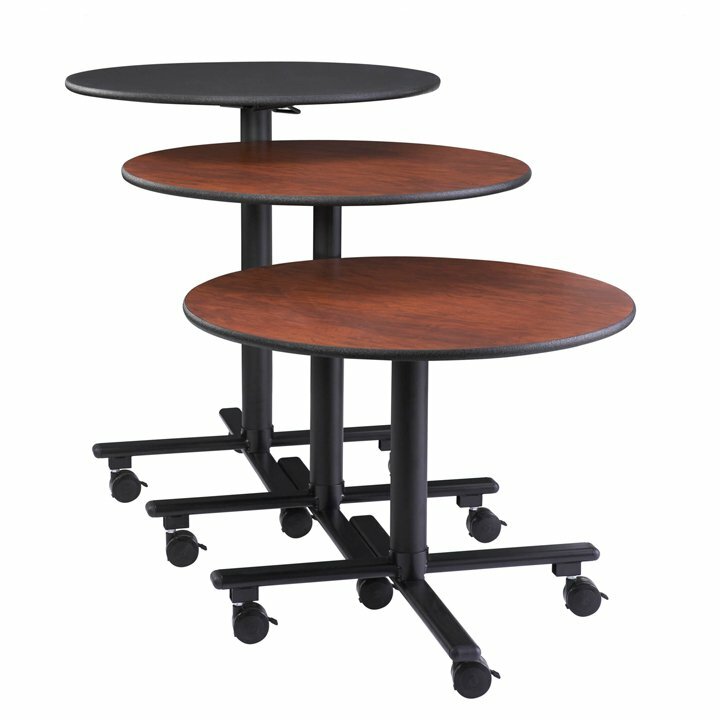 Function: Multiple adjustable height table for sitting/standing. Storage Dimensions: 1 Unit: 24.5″L x 36″ W x 47″ to 59″H (63 cm x 92 cm x 120 cm – 150 cm). Storage Dimensions: 1 Unit: 24.5″L x 24.5″ W x 47″ to 59″H (63 cm x 63 cm x 120 cm – 150 cm). 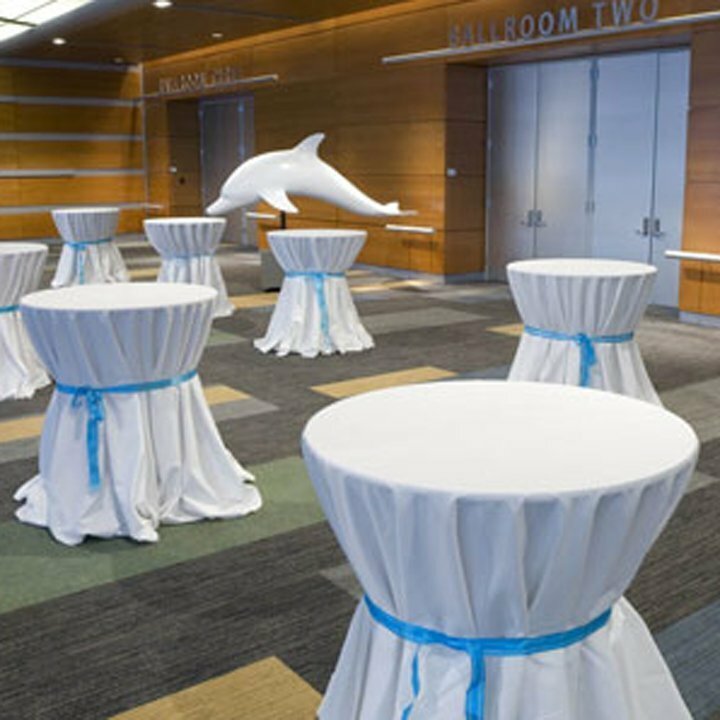 Provide an elegant look to your tables with SICO® table drapes! 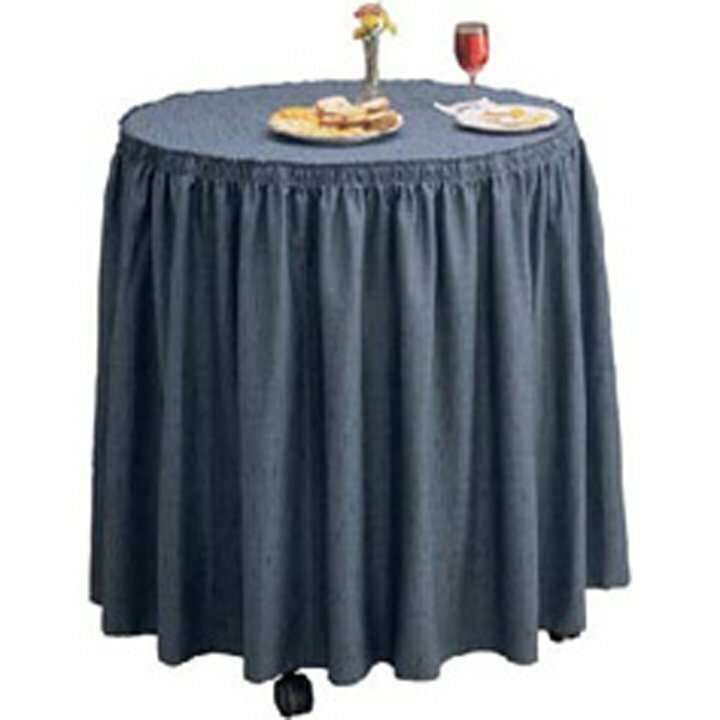 Our Tivoli drapes add the finishing touch to your table set-up. They are wrinkle resistant so they stay looking nice for every event. Loop fastener strips sewn into the backside of the drapes allow for easy attachment.